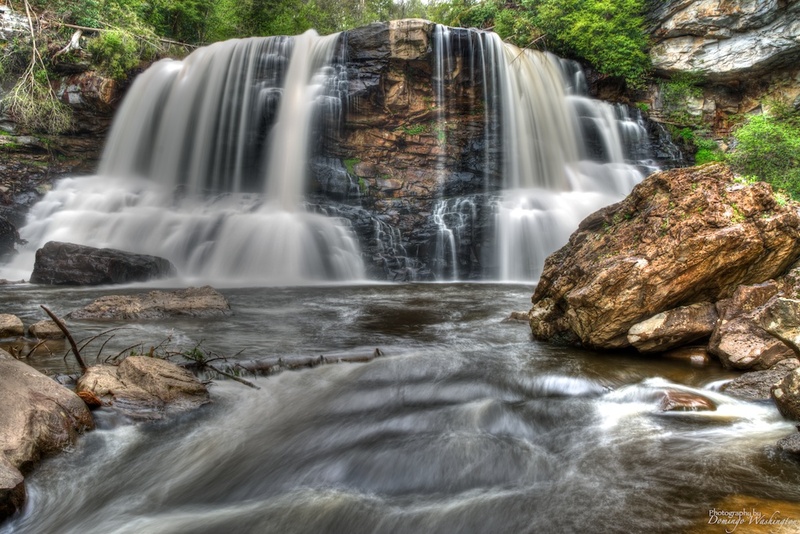 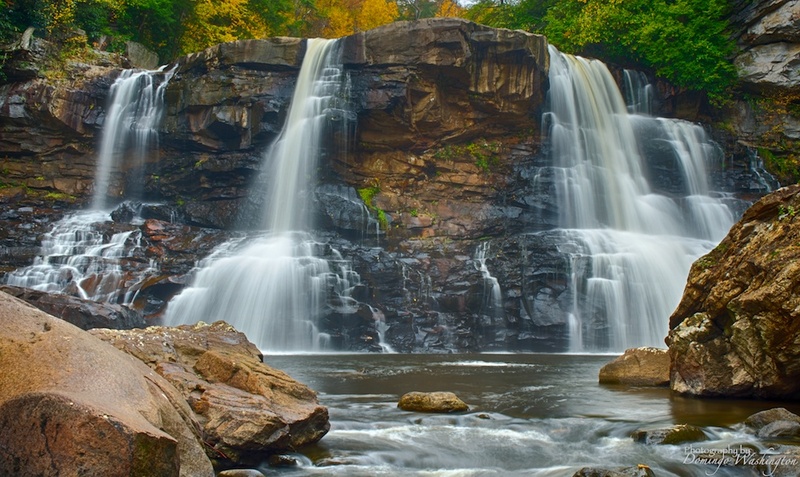 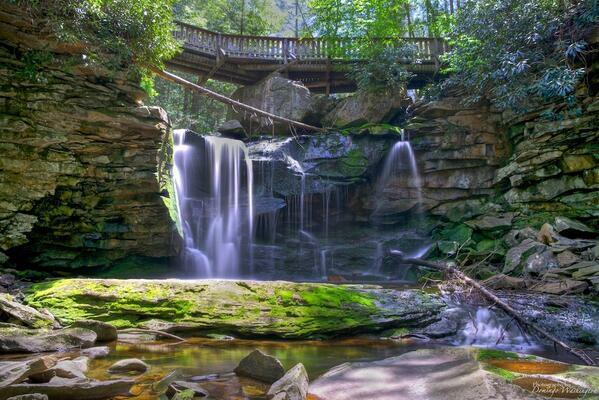 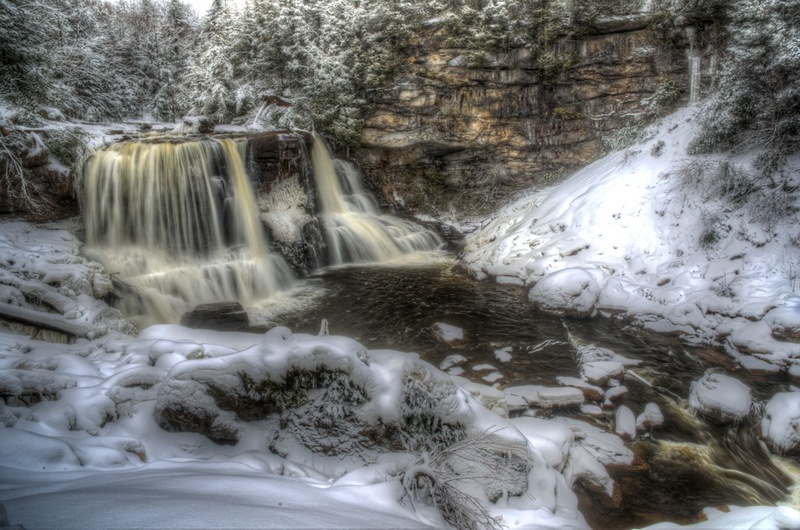 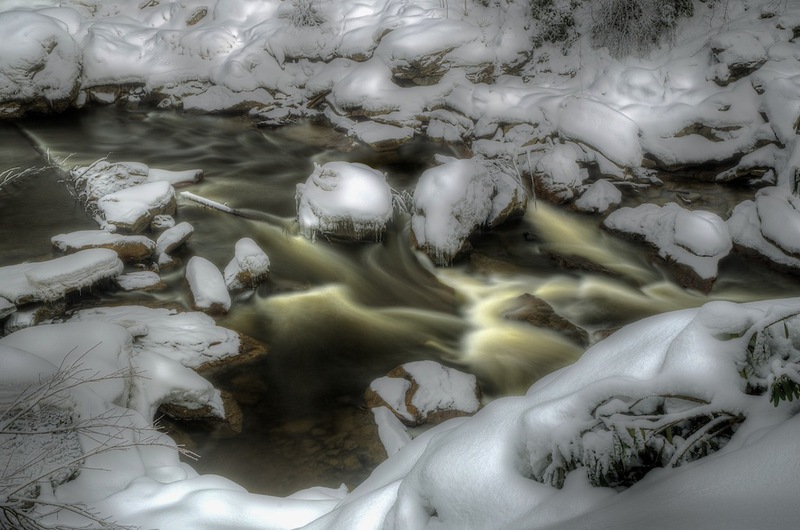 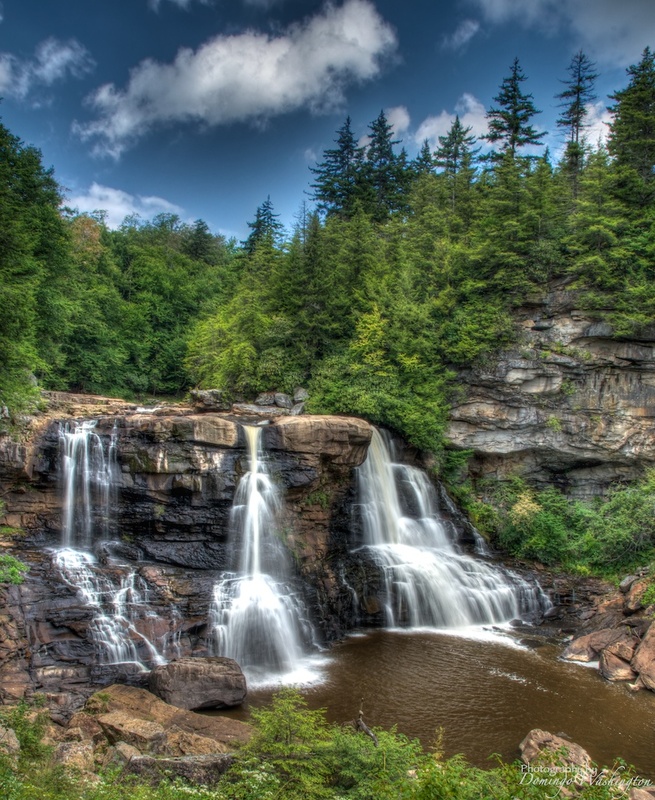 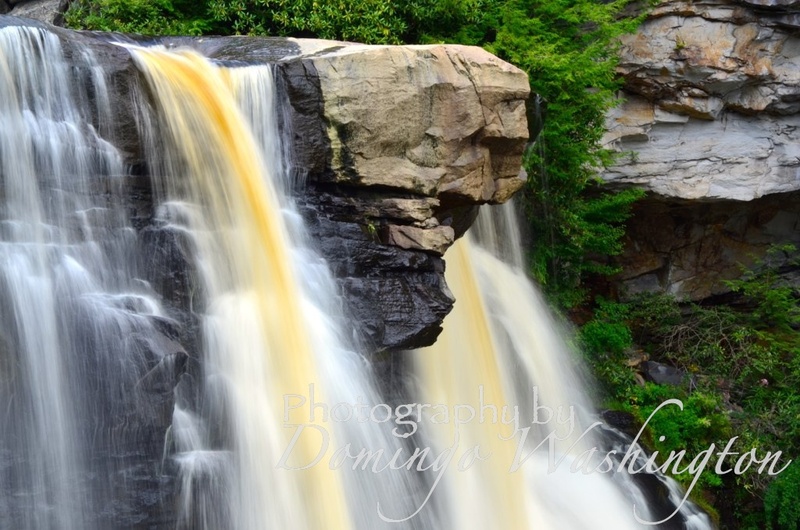 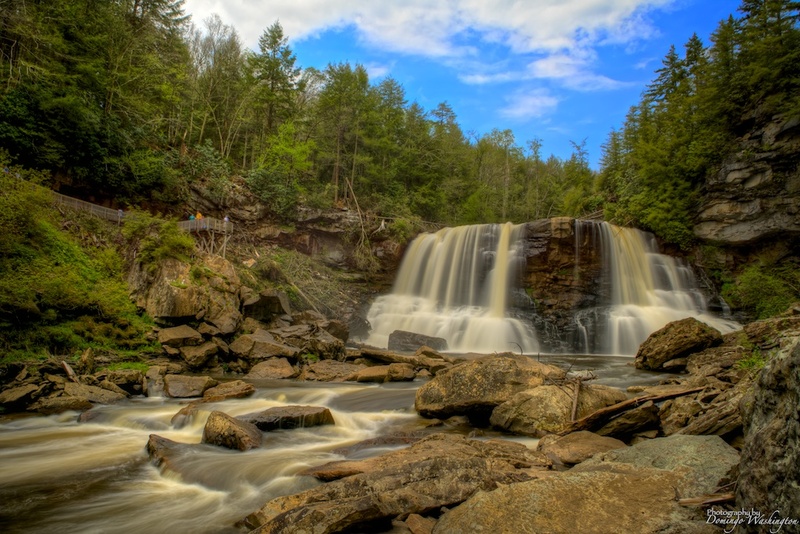 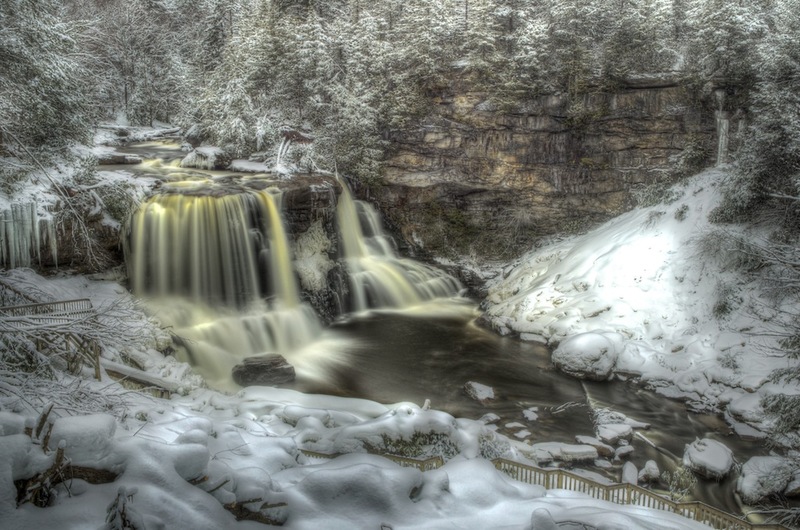 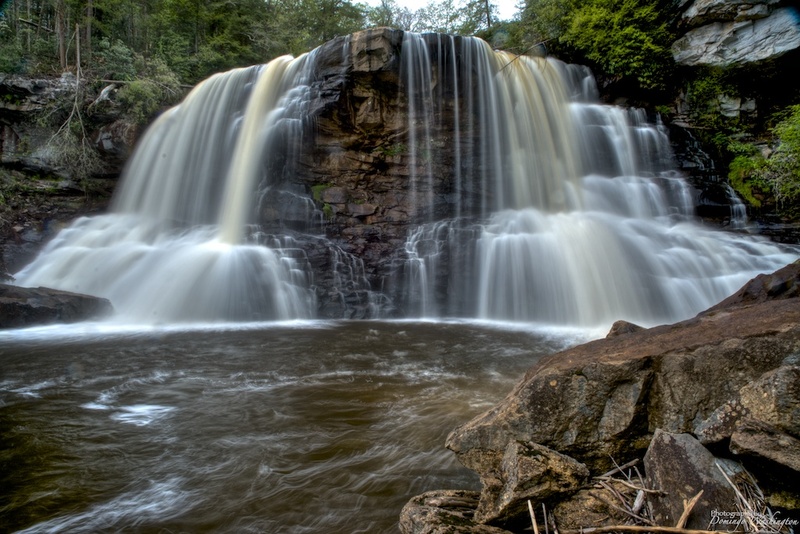 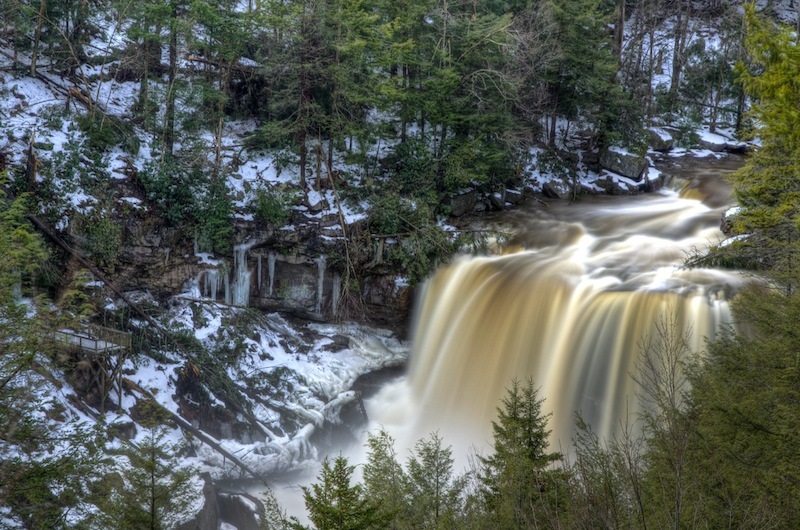 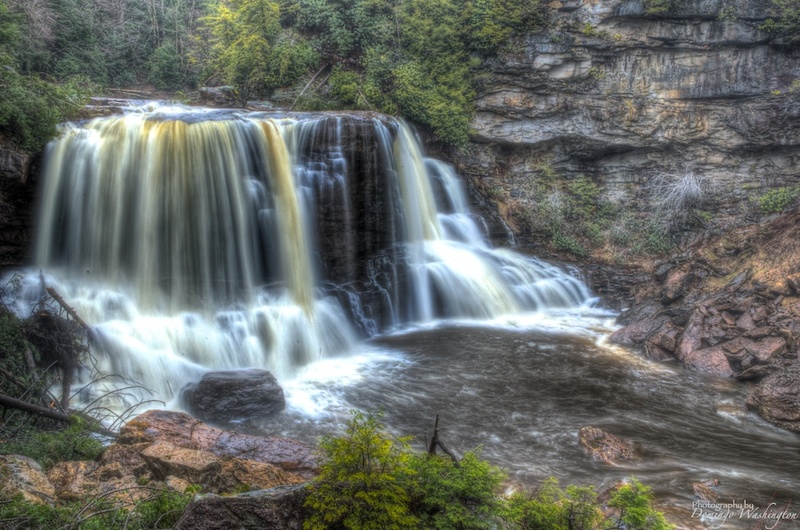 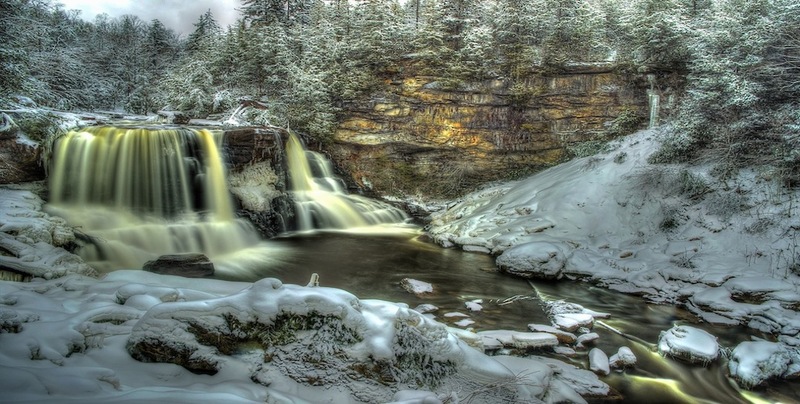 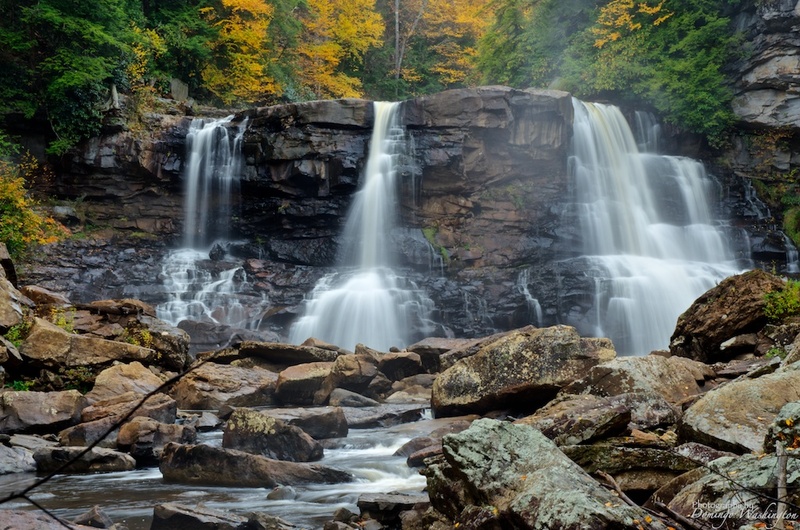 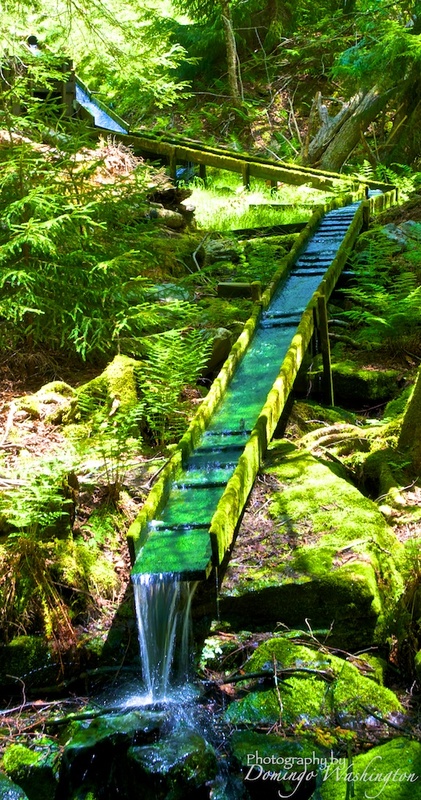 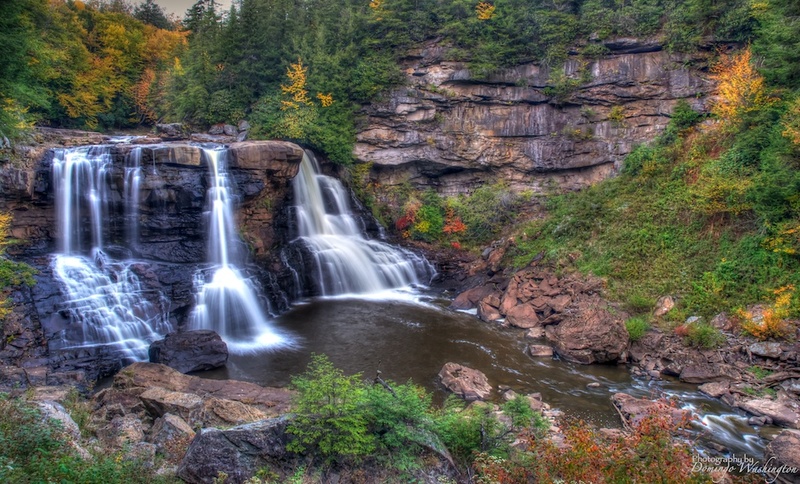 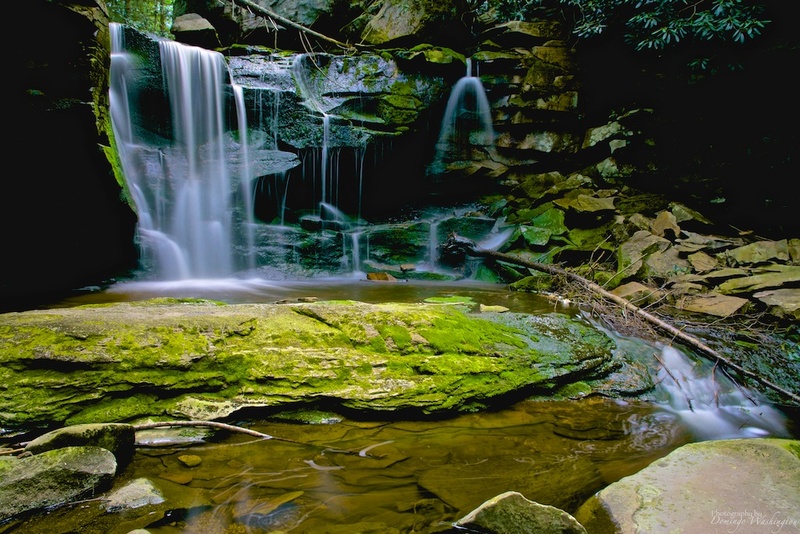 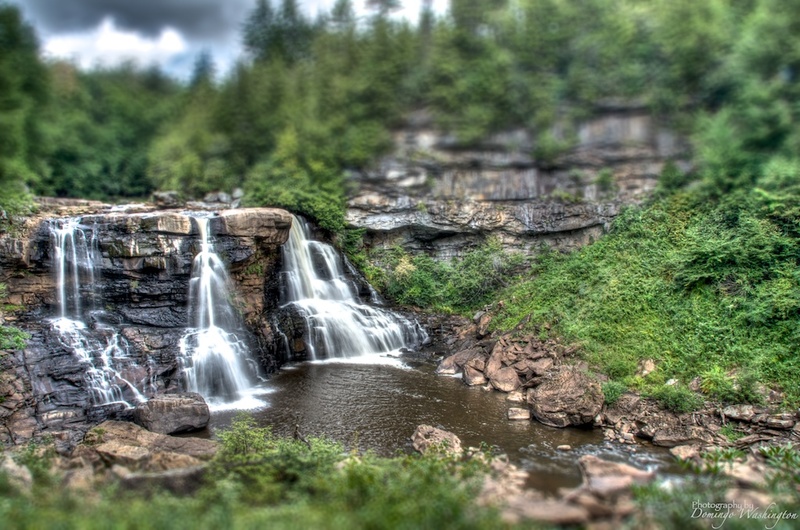 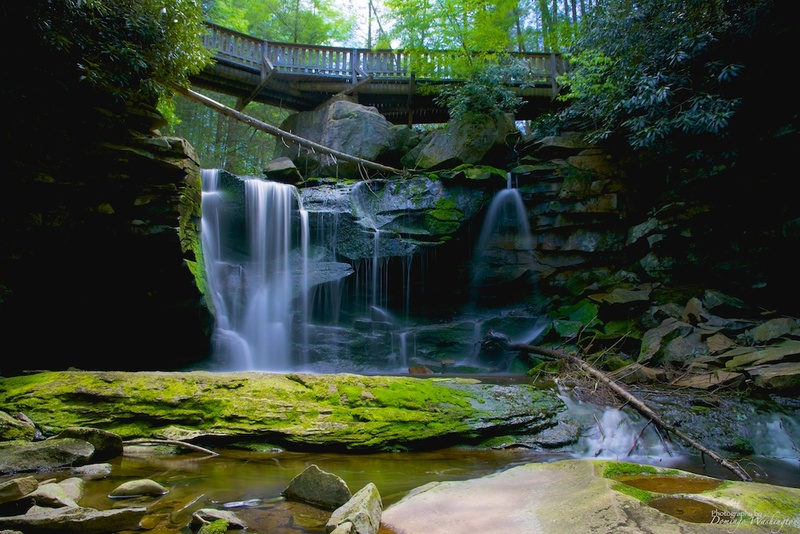 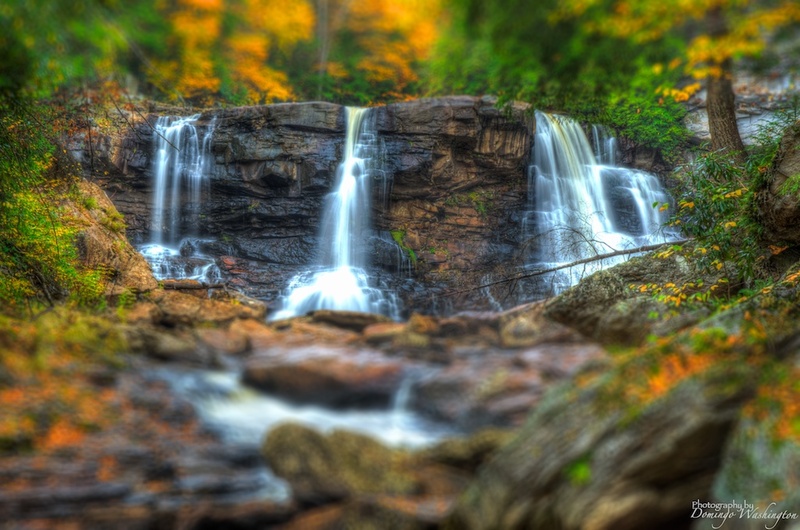 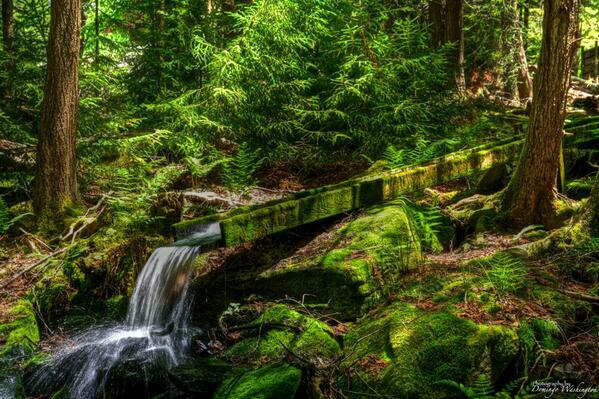 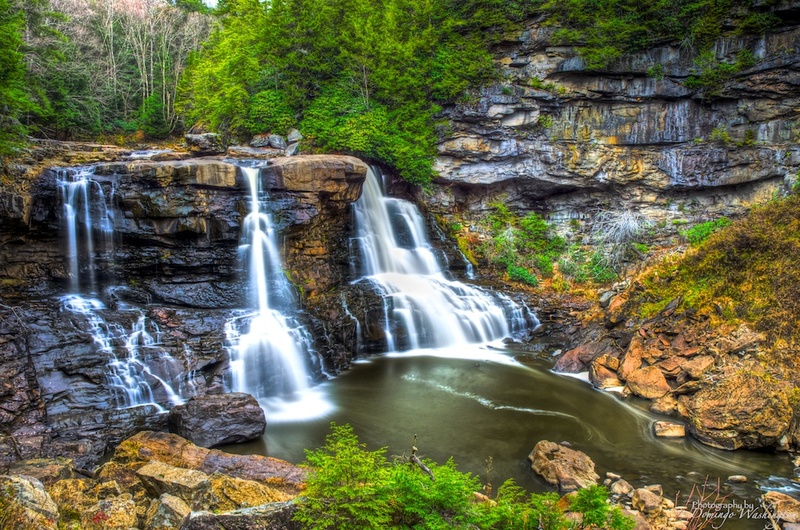 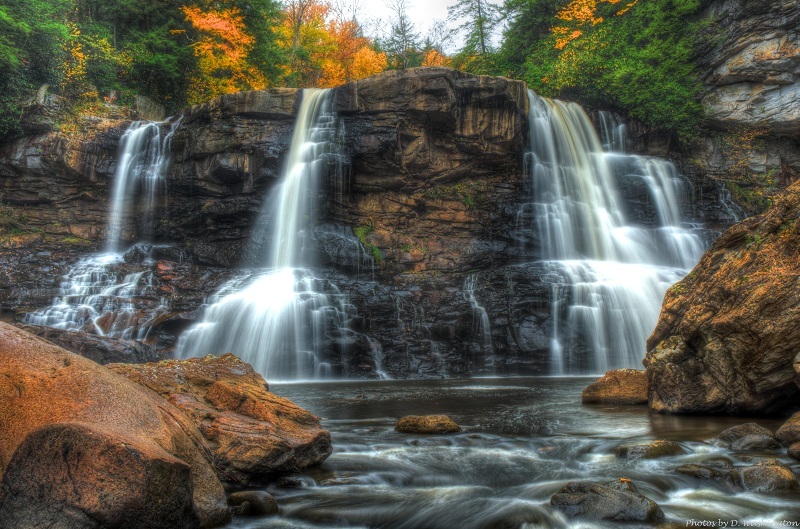 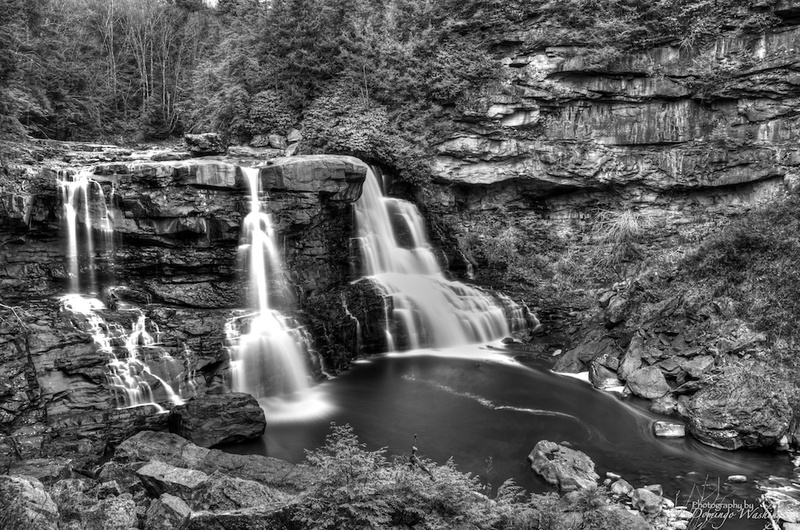 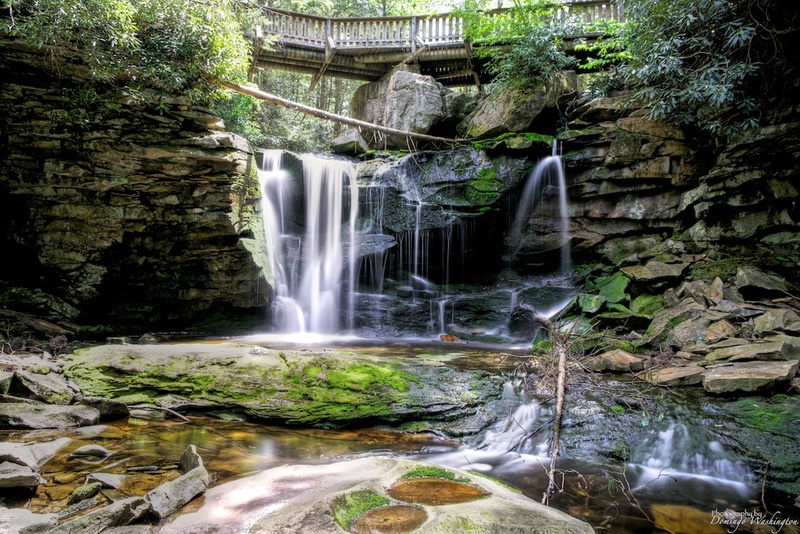 Blackwater Falls State Park is located about two miles southeast of the town of Davis. 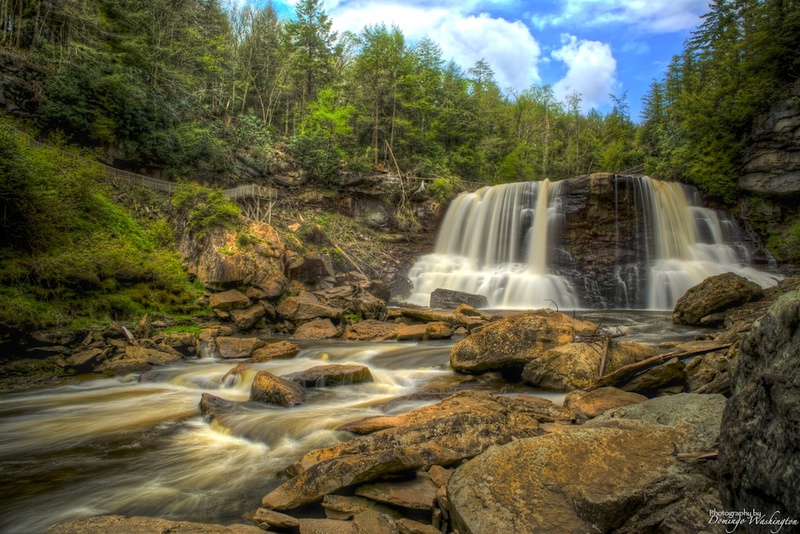 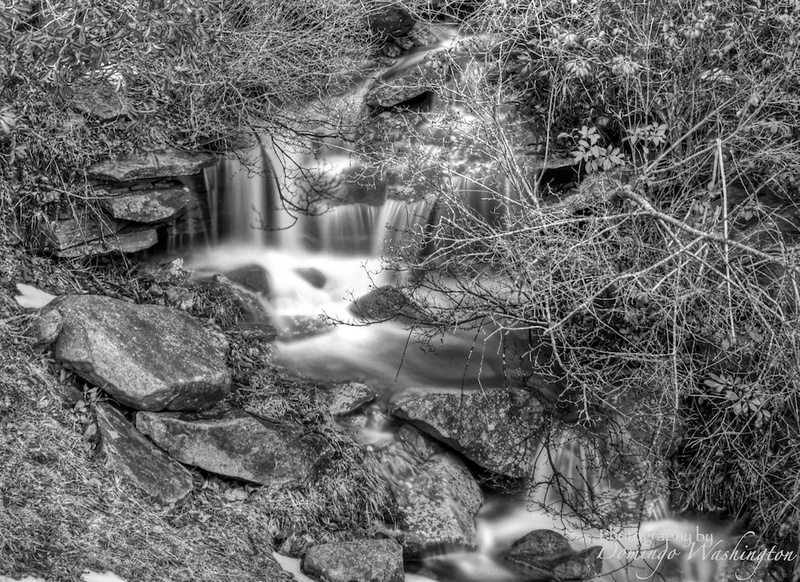 The “Great Falls” of Blackwater River drop about 62 feet at the head of Blackwater Canyon. 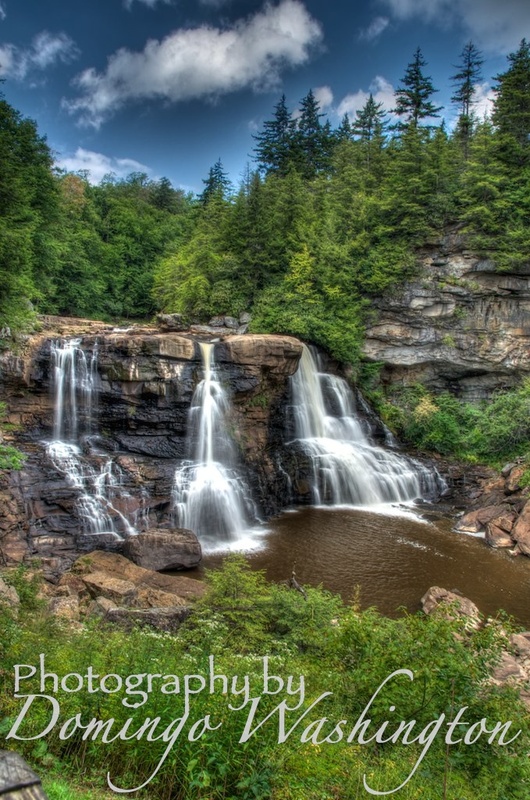 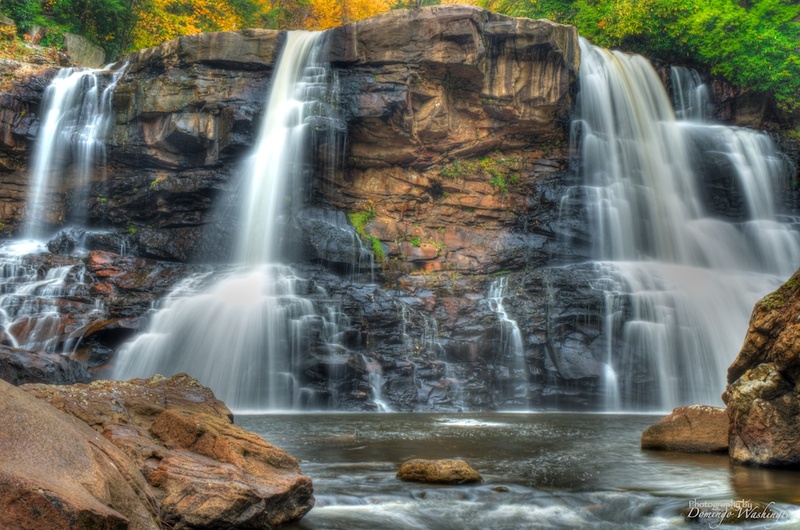 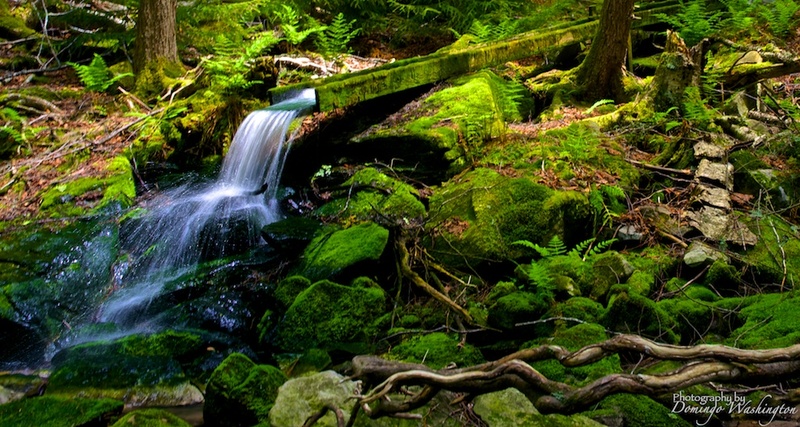 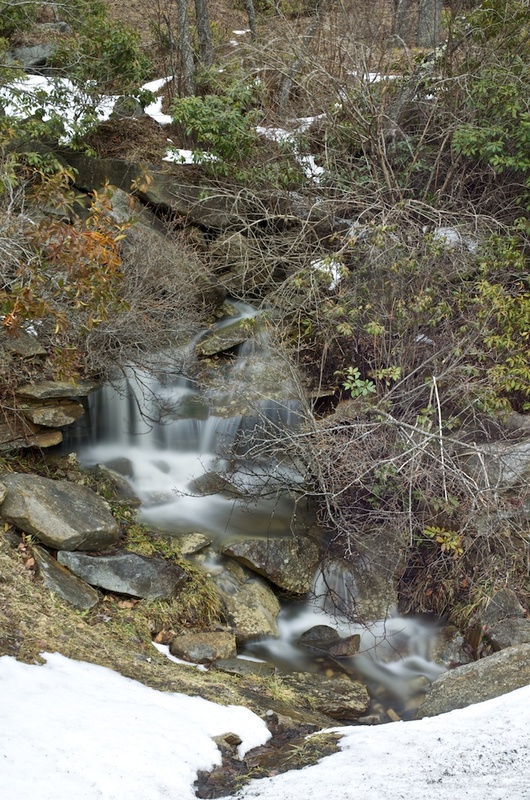 The Falls are usually cited as the highest above-ground falls in the state. 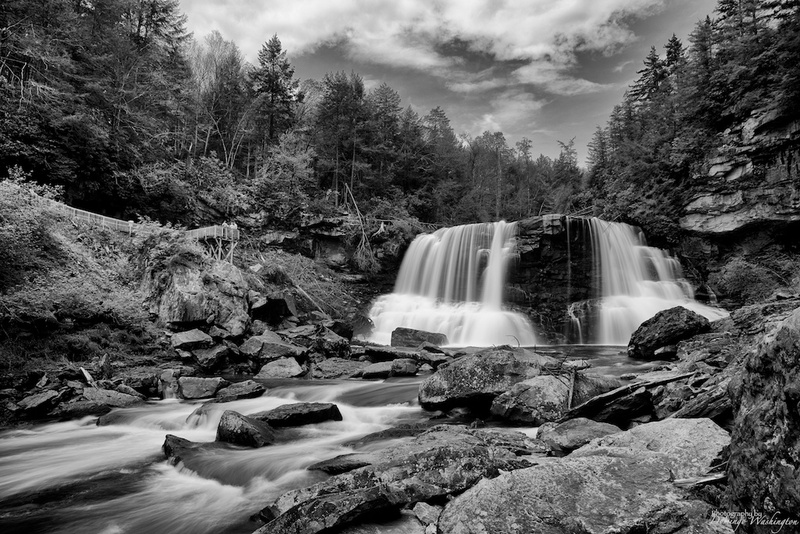 A rocky prominence near the center of the Falls divides its waters into a distinctive formation, rendering its images instantly recognizable. 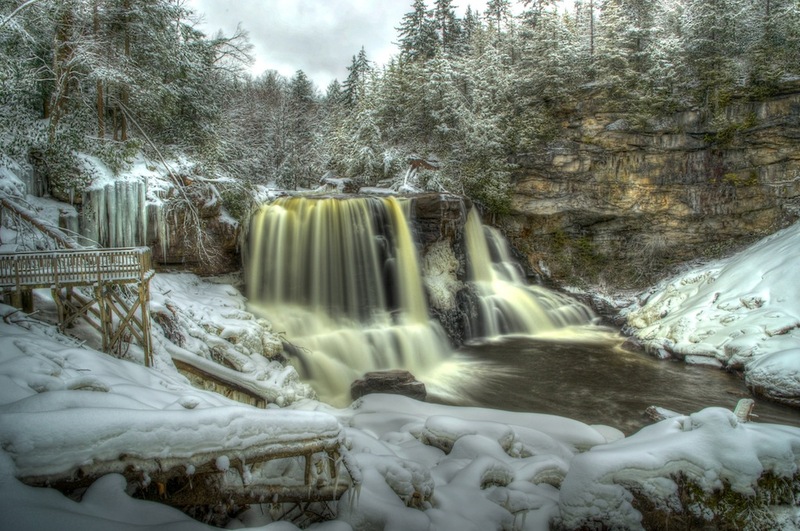 In winter, the Falls often ice over completely. 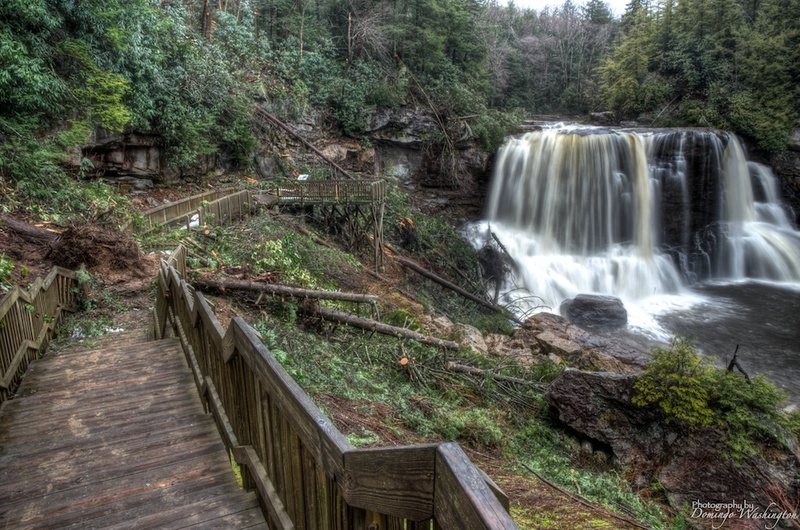 A broad trail descends about 320 feet (98 m) from the Falls parking lot to a wooden walkway and overlook, while a much steeper trail extends beyond to the basin below the Falls.